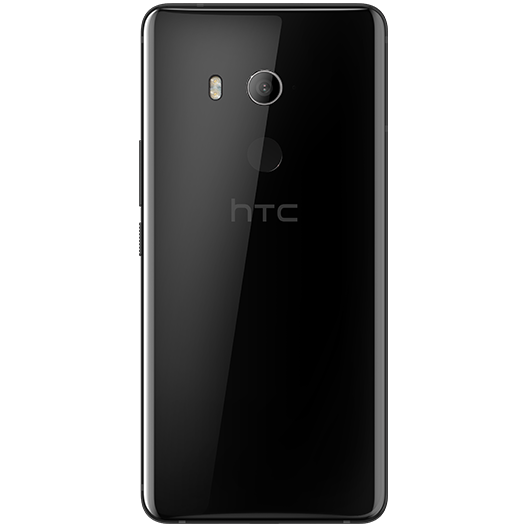 The phone is now official on HTC's website. 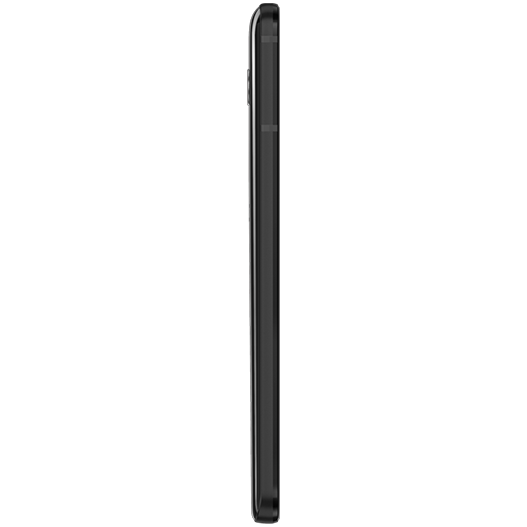 We already knew a lot of the U11 EYEs's specs: a 6.0" 1080p Super LCD3 display in 18:9, a Snapdragon 652, 4GB of RAM, 64GB of storage with microSD expansion, a 3,930mAh battery, IP67 certification, Edge Sense, and Android Nougat. 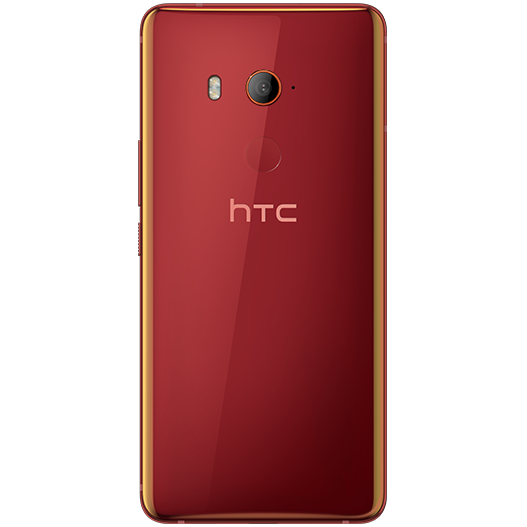 In fact, we even knew the three colors it'd come in, its price of ￥3,299, and the launch date of January 15th (tomorrow). However, we still hadn't heard anything about its cameras and some other minor details. Luckily, thanks to some test sites that are viewable by the general public for whatever reason and a tip from a reader (Tech Chat With David Cannon on YouTube), there's now nothing we don't know. 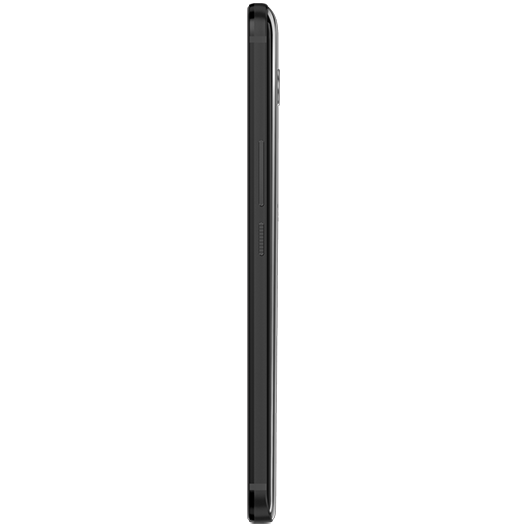 The U11 EYEs measures in at 157.9 x 74.99 x 8.5mm, and it weighs 185g. 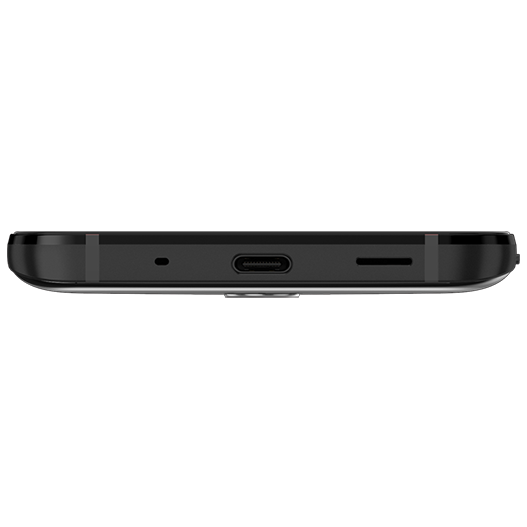 For reference, the Pixel 2 XL is the same height, but 1.7mm wider, 0.6mm thinner, and 10g lighter. 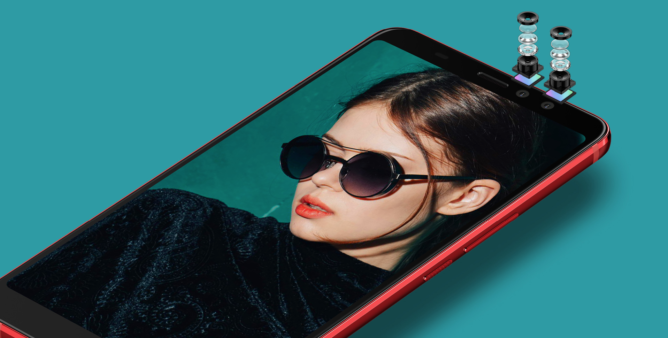 Its rear camera is a 12MP "UltraPixel 3" unit with OIS and "UltraSpeed" autofocus. 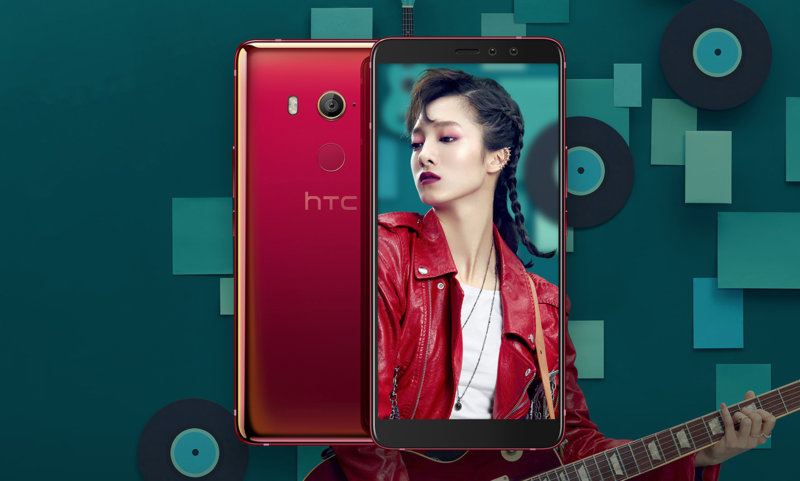 HTC touts a DxOMark score of 90, which is exactly the same as what the U11 received - probably because it's the same camera. The dual 5MP front cameras work together to provide the bokeh effect everyone these days is crazy for. 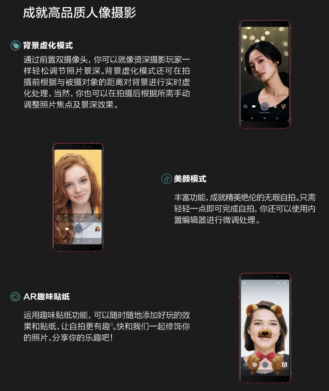 There's also a beauty mode and even an AR sticker mode. Interestingly, face recognition is specifically mentioned - not in terms of Smart Lock, but as a standalone feature. 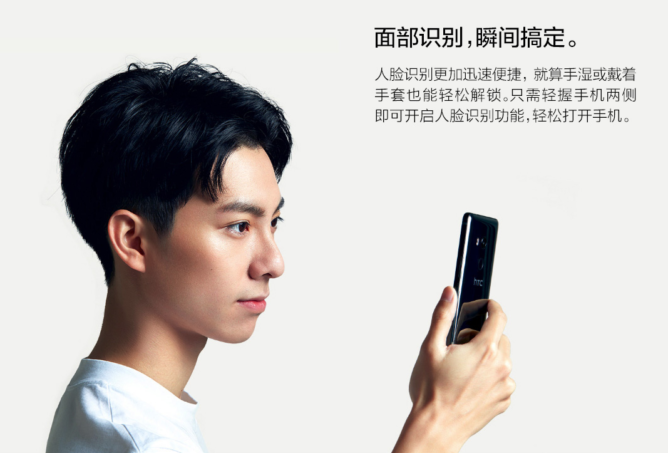 Simply squeezing the phone will trigger the face unlock to come alive. Edge Sense is deeply integrated into the phone. Just as with the U11, you can squeeze to launch specific applications, take pictures, and more. Additionally, the recently-updated Edge Launcher is on board for further use of this functionality. 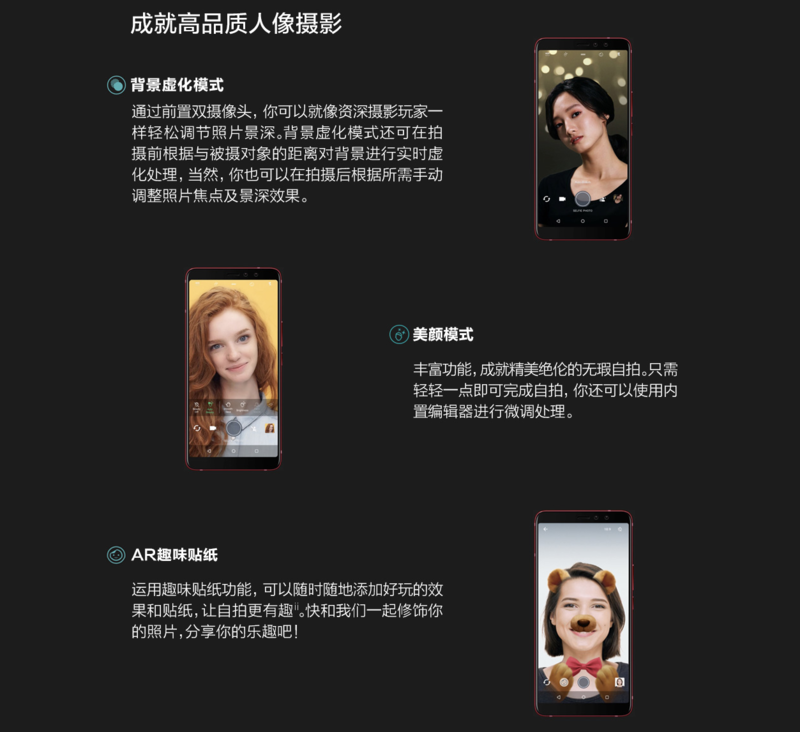 HTC even has its own voice assistant built-in, probably since this is a Chinese-market phone and China doesn't permit Google services. It, too, can be triggered by Edge Sense. In fact, the company is so committed that the official clear case has large cutouts on both sides. That's actually pretty funny, as they're not at all necessary for squeezing (cases for other phones with similar functionality don't need them). Plus, they greatly reduce protection and make the entire thing look a bit goofy. 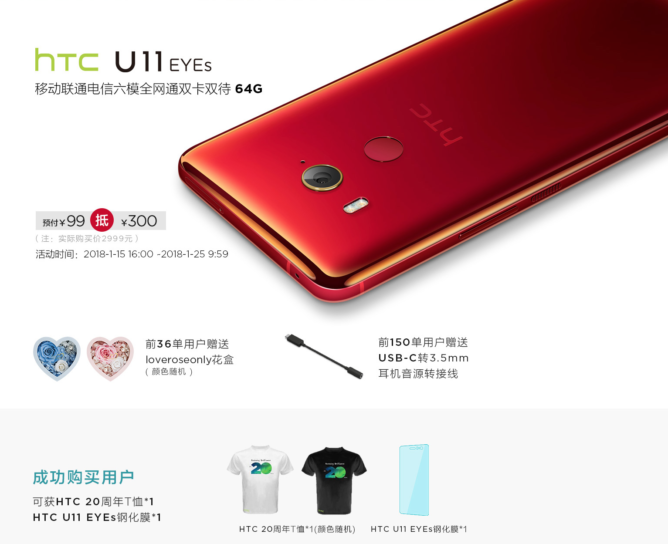 HTC also makes note of its USonic noise-canceling headphones and Hi-Res Audio, though it's unclear if they (and/or the case) are included since the package contents section hasn't been updated with the proper information. 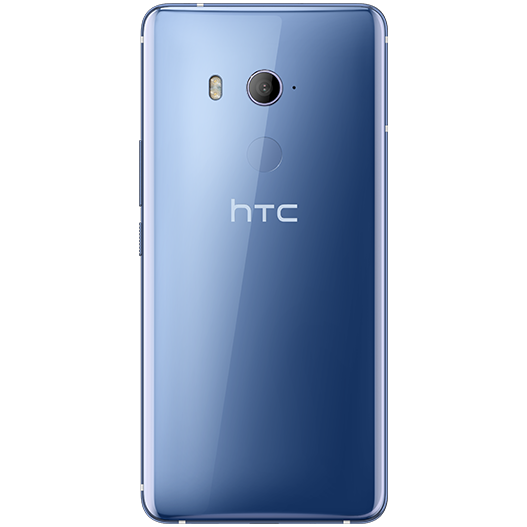 As for more minor details, the U11 EYEs will have USB Type-C with 2.0 speeds and 802.11ac Wi-Fi. FDD-LTE bands include 1, 3, 4, 5, 7, 8, 12, and 17, while TDD-LTE bands consist of 34, 38, 39, 40, and 41. VoLTE is supported. Free stuff you can get if you pre-order. 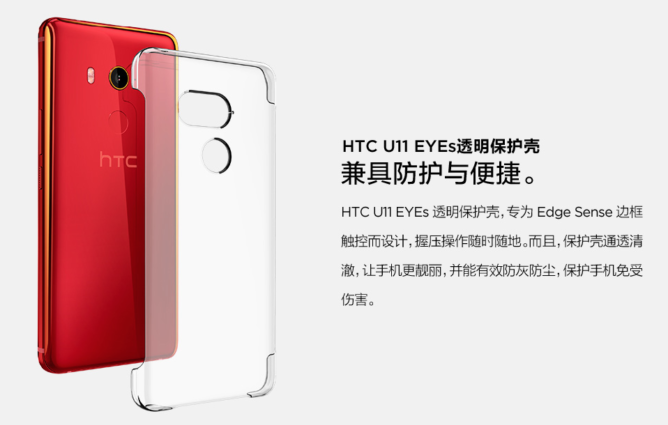 Promotion-wise, HTC is actually running quite a few in tandem. If you reserve the phone for ￥99 from January 15th at 16:00 to January 25th at 9:59, you'll get ￥300 off the final price. So whereas you'd usually pay ￥3299 (full price), you can get the phone for ￥2999 if you take advantage of this promo. If you're one of the first 36 people to reserve it, you get a free "loveroseonly" flower box, and if you're one of the first 150, you get a complimentary USB-C to 3.5mm adapter (meaning that you probably don't get one in the box). 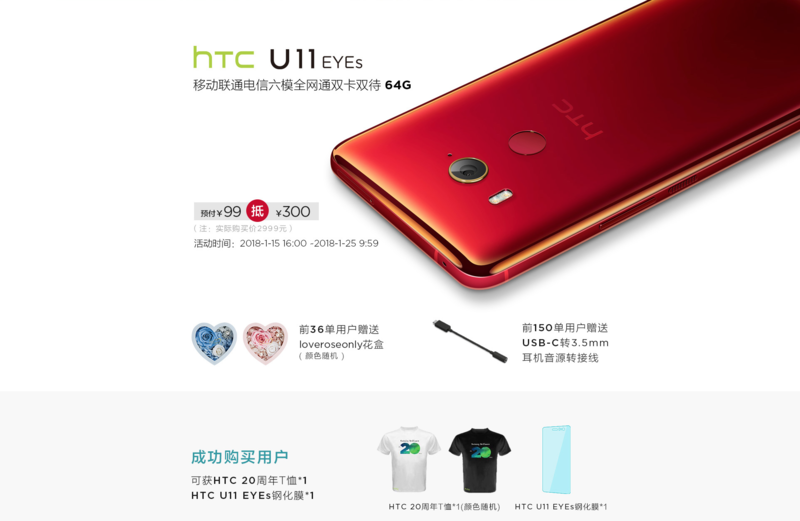 Everyone who pre-orders will get a commemorative 20th anniversary HTC shirt in either black or white, as well as a screen protector that appears to be a basic plastic one. 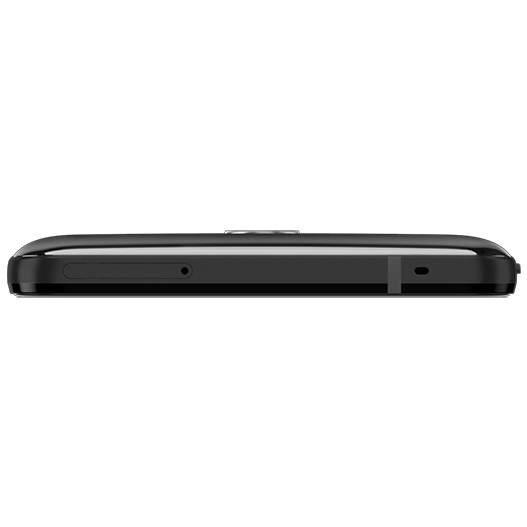 The phone is slated to be announced on January 15th, which is in just a few hours. Too bad there'll be nothing new to really present.